Antique nickel plated cast aluminum tripod base with elegantly designed finial which appears to continue in a direct line from the base. Hardback shade made in USA of poly/silk fabric on styrene. 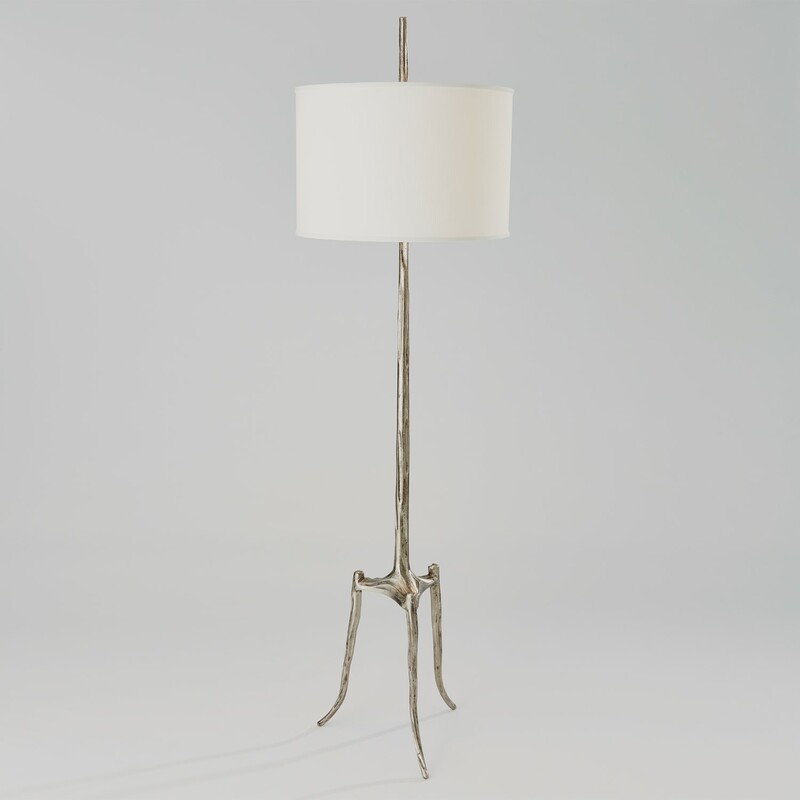 Available as a floor lamp and table lamp.